Leah Ferrazzani separates drying spaghetti in her cramped Mount Washington kitchen. The noodles emerge from an extruder the size of a washing machine. Stacked along one wall are bar stools and a high chair, which Ferrazzani will return to their usual spots when her two toddlers get home. “It takes me 40 minutes to set up and take down every day,” she says. Ferrazzani started her organic company, Semolina Artisanal Pasta, after earning one of L.A. County’s coveted Cottage Food Operations permits. Since 2013, CFOs have allowed certain “nonpotentially hazardous” food products to be prepared in a home kitchen. There are limits, though, including a $50,000 cap on annual sales and restraints on retail sales and distribution. This month Semolina is among several food businesses moving into L.A. Prep, an expansive brick warehouse in Lincoln Heights that’s been converted into 50 separate commercial kitchen units. It’s the first of its kind: Tenants receive a dedicated workspace and have access to shared elements like cold, dry, and frozen storage; three loading docks; and a demonstration kitchen. They also receive the necessary permits for operating, thanks to the developers’ close collaboration with the Department of Health. 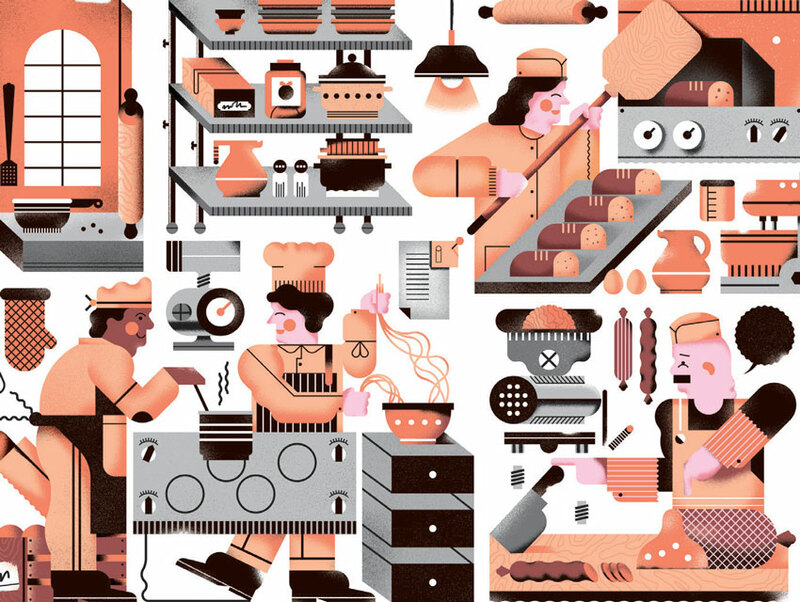 Until now, ambitious small food businesses had few options: stay small, invest large amounts of capital into securing their own commercial kitchen space, rent a shared kitchen by the hour (which involves completely loading in and out each session), or hand over their recipe to a contract manufacturer known as a co-packer. “L.A. Prep fills a huge gap for me,” says Ferrazzani. The increased space will allow Silver Lake breadmakers K&V Bake to triple the number of seeded stout rye loaves they can unleash on the city. “Imagine carrying one 50-pound bag of flour at a time from your car, up the stairs, and into your apartment kitchen,” says Kai Borson-Paine, a co-owner of K&V. “That’s what we’ve been doing.” Among the other L.A. Prep tenants thus far: a whole-animal butcher, a gluten-free baker, and a chocolatier. The future looks delicious.